Millions of anglers regularly use live bait each season, but few understand how important it is to dispose of their bait properly at the end of a day on the lake or river. Improper handling of live bait, especially minnows and night crawlers, can adversely affect the ecosystem in ways that are not immediately evident. With minnows, problems result when anglers dump their remaining bait into the water when they are done fishing. A single bait dealer harvests minnow species from a variety of ponds, wetlands and streams, and chances are good that some of those species are not native to the lakes or rivers anglers commonly fish. The stickleback is one example of a problem species, which is commonly found in minnow buckets. The stickleback does not have many predators, because of its spines, and it competes with other small fish. The long-term result of introducing sticklebacks to a lake could be a drop in the population of minnow species that crappies, walleyes and bass depend on for food, which could adversely affect the game-fish populations. Just as minnows should be disposed of properly, night crawlers and other earthworms also need to be thrown in the trash, rather than released. 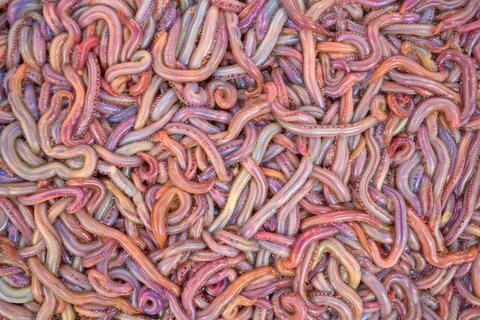 Much to the surprise of many anglers, earthworms are not native to large portions of the United States. The worms found in many regions of the U.S. came here from Europe and Asia, and they present a threat to hardwood forests, wildflowers and ferns. The earthworm invasion disrupts the natural flow of the ecosystem, because northern hardwood forests adapted to an earthworm-free environment. The earthworms quickly break down the duff (a spongy layer of organic material on the ground), which needs to break down slowly for hardwood trees and wildflowers to flourish. The earthworms’ work prevents seedlings and wildflowers from growing, and can lead to soil erosion and the leaching of vital nutrients from the soil. Anglers are major contributors to the spread of earthworms, but they also can play an important role in stopping their spread. Without the aid of human transport, earthworms only move about 1/2 mile every 100 years. Many anglers are not aware that releasing live bait is a problem, while others feel guilty about killing minnows or worms, so they release them, when they are finished fishing. However, in order for ecosystems to flourish, it is important for anglers to act responsibly, by properly disposing of their bait.